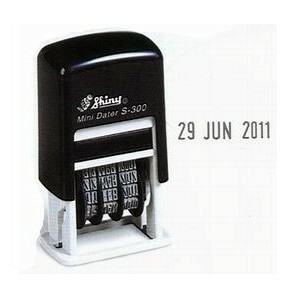 Self-Inking date stamper which prints the day, month and year. Durable materials ensure smooth handling and easy, comfortable use. Self-inking 4 mm date stamp with 12 year band. Supplied with built-in ink pad - red date. 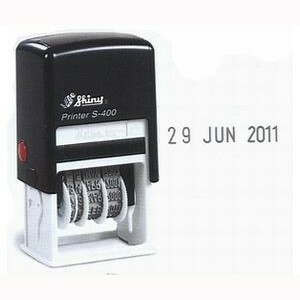 Simple, yet functional Shiny™ Printer Self-inking Date Stamps. 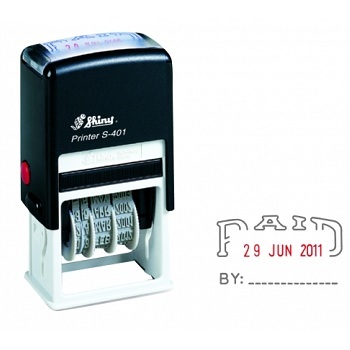 Self-inking 3 mm date stamp with 12 year band. Supplied with Black ink pad (S-300-7-9) Refills available. Supplied with Black ink pad (S-400-7-9) Refills available. Simple, yet functional Shiny™ Printer Self-inking Message Date Stamps. Message - PAID with 4 mm date. Supplied with 2-colour Blue/Red ink pad (S-400-7D-2C) Refills available. Message - RECEIVED with 4 mm date. Message - FAXED with 4 mm date. Message - POSTED with 4 mm date. 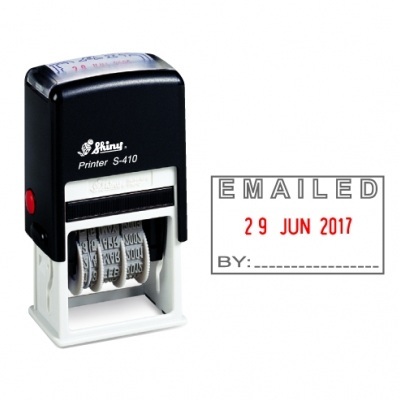 Message - EMAILED with 4 mm date. This convenient, compact, multi-functional word and date stamp can be used for all your office needs! 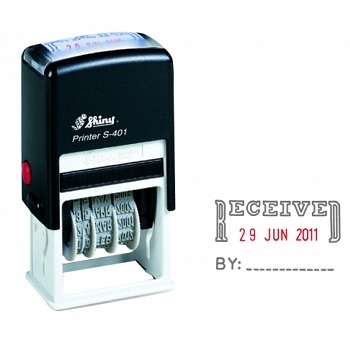 4 mm Date and Word band features simple turning wheels to change the word and date sequence. 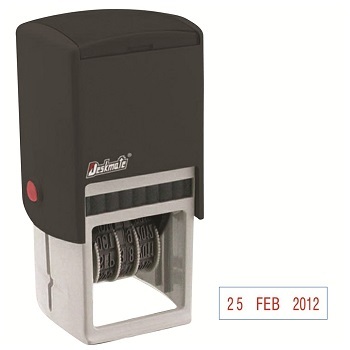 Supplied with a Black ink pad (E/12) Refills available. 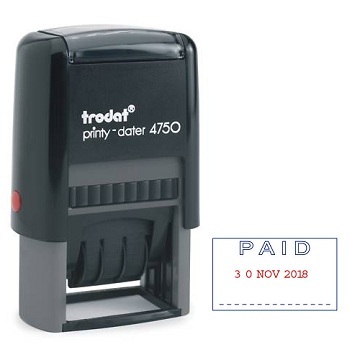 The Trodat® Printy 4750 dater is a classic design Trodat® Stamp. Durable plastic casing with tough metal core. Message - RECEIVED impression 41 x 24 mm with 4 mm date. 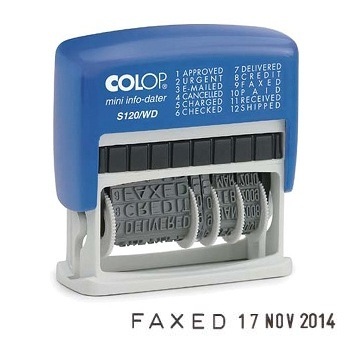 Supplied with 2-colour Blue/Red ink pad (6/4750/2) Refills available. Message - PAID impression 41 x 24 mm with 4 mm date. Message - FAXED impression 41 x 24 mm with 4 mm date.